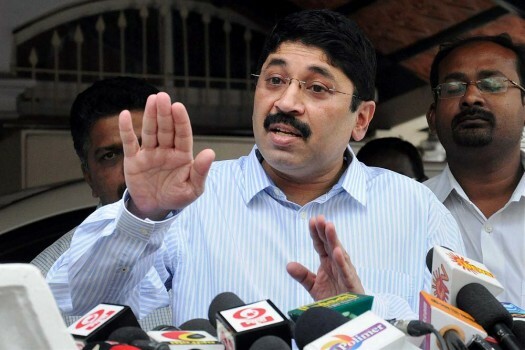 Dravida Munnetra Kazhagam (DMK) Lok Sabha candidate from Chennai Central, Dayanidhi Maran, files his nomination for the upcoming elections, in Chennai. 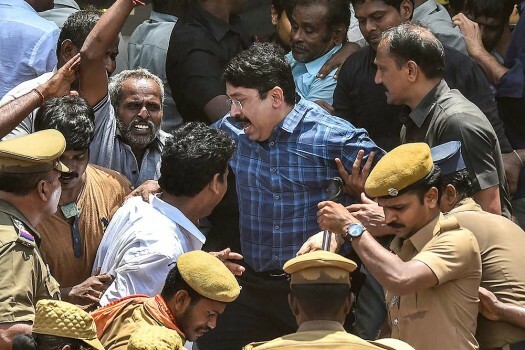 Former Union Minister Dayanidhi Maran being accompanied by police as he arrives to pay his last respects to DMK chief M Karunanidhi, at Rajaji Hall in Chennai. 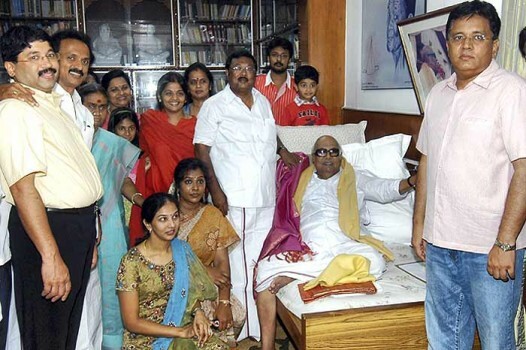 Former Union Minister & DMK leader Dayanidhi Maran addressing the media at the party chief Karunanidhi's residence, in Chennai. 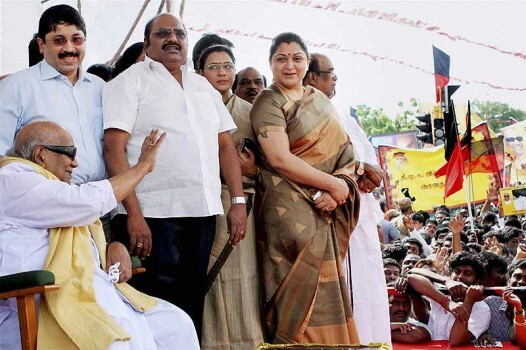 DMK chief M Karunanidhi with party leaders Dayanidhi Maran and Kushboo at a protest demonstration in Chennai during the party's state wide agitation against power-cuts. 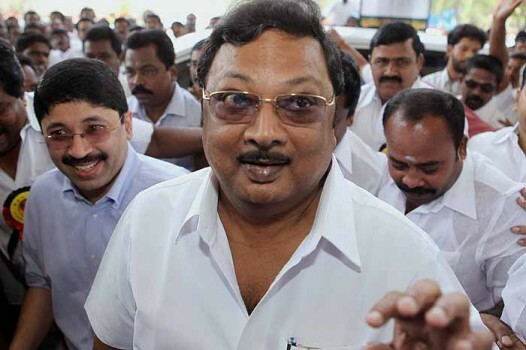 Union Minister and DMK leader M K Alagiri and Dayanidhi Maran arrive to attend the party’s General Council meeting, in Chennai. Prime Minister Manmohan Singh being welcomed by former union minister Dayanidhi Maran as Tamil Nadu Chief Minister J Jayalalithaa looks on at the Chennai airport. 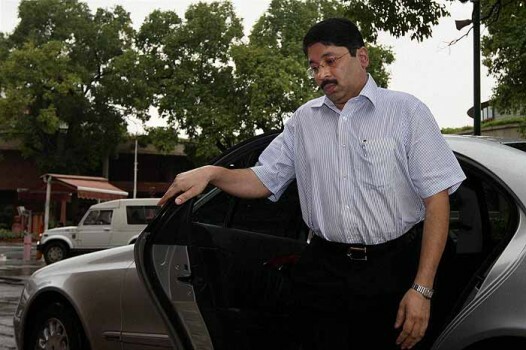 A CBI team conducting a raid at former Union Minister and DMK member Dayanidhi Maran's residence in Chennai. 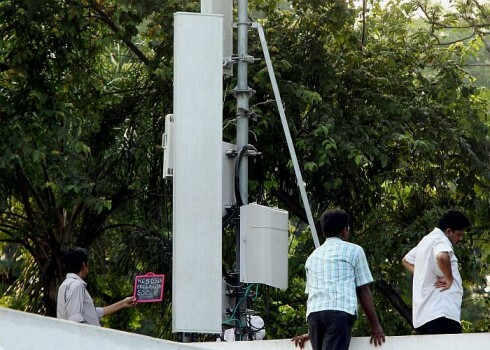 CBI Officials inspect the RF Link Tower installed on the former Union Minister Dayanidhi Maran's residence during a raid, in Chennai. 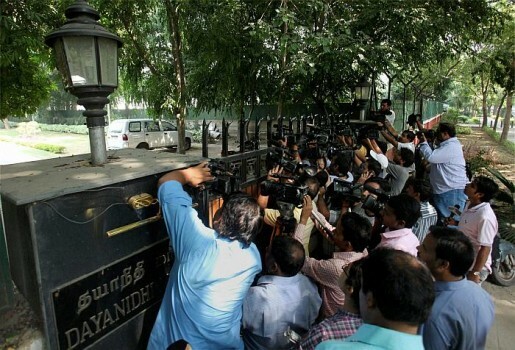 Media outside former Union Minister and DMK member Dayanidhi Maran's residence during a raid by the CBI in New Delhi. DMK member Dayanidhi Maran at Parliament House in New Delhi during the ongoing monsoon session. 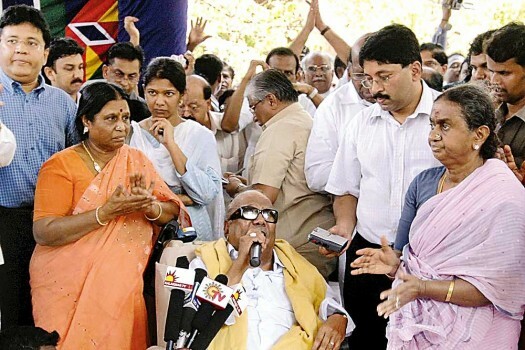 AIADMK spokesperson and advocate R M Babu Murugavel filed separate complaints with the ECI against the two DMK leaders. 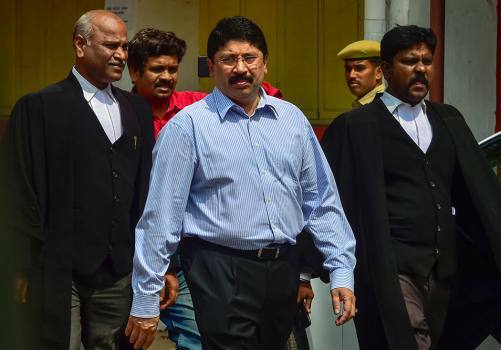 Allowing the appeal filed by the CBI, Justice G Jaichandran directed a special CBI court to frame charges and conclude the trial within 12 months from the date of receipt of copy of the order. 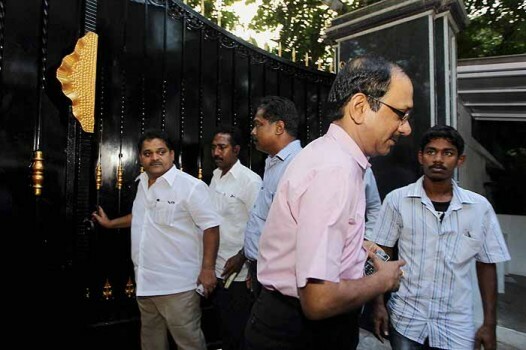 Chidambaram and his son Karti Chidambaram were named in a charge sheet filed by the CBI in the case on July 19. 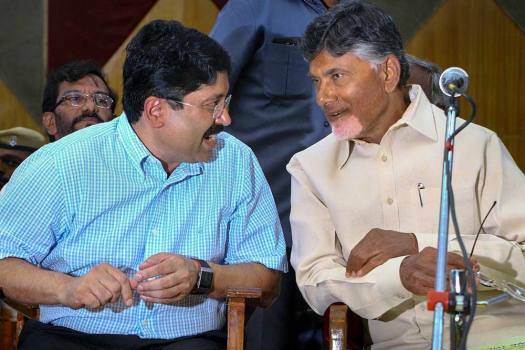 The central agency had alleged that Dayanidhi had caused a loss of Rs 1.78 crore to the exchequer. The IT and telecom minister, believes in knocking at doors for selling India. Obviously, his views on FDI wouldn't please the Left. He measures his performance, he says, in the billions of dollars he is able to bring into the country. 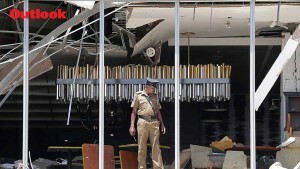 Why is the gun trained on Sun TV? The answers lie in central and state politics and a massive marketshare. The man who made the office of the Comptroller and Auditor General of India a force to reckon with tells all—from the 2G scam to CWG fiasco to Coalgate and the K-G Basin—in a damning memoir. 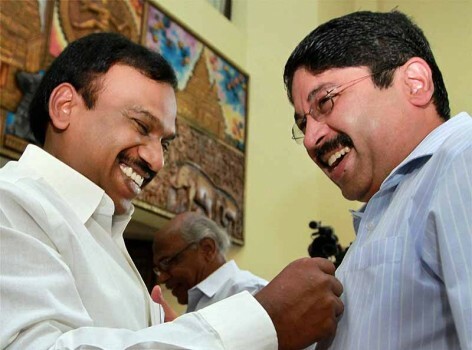 The UPA government totters as the Supreme Court further exposes the political corporate nexus in the 2G scam. Should the PM resign before more bad news hits him? 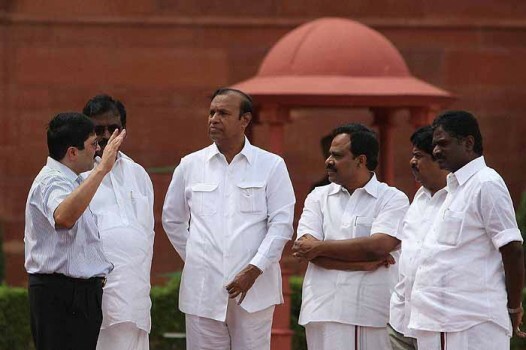 The UPA government's strategy to distance itself from the actions of A. Raja is under threat. A look at how this affects the dramatis personae. The inbox is full. But the legal war is a function of the political one. 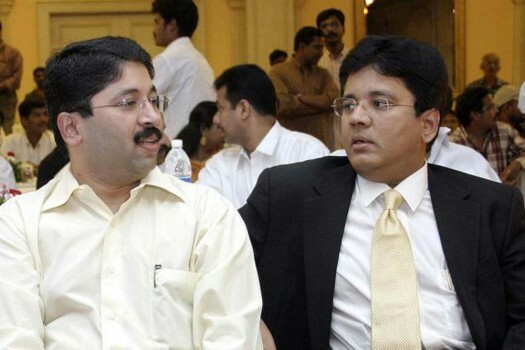 The Enforcement Directorate today moved the Supreme Court urging it not to release the properties of Dayanidhi Maran and his brother Kalanithi, attached by it in the Aircel-Maxis deal case.